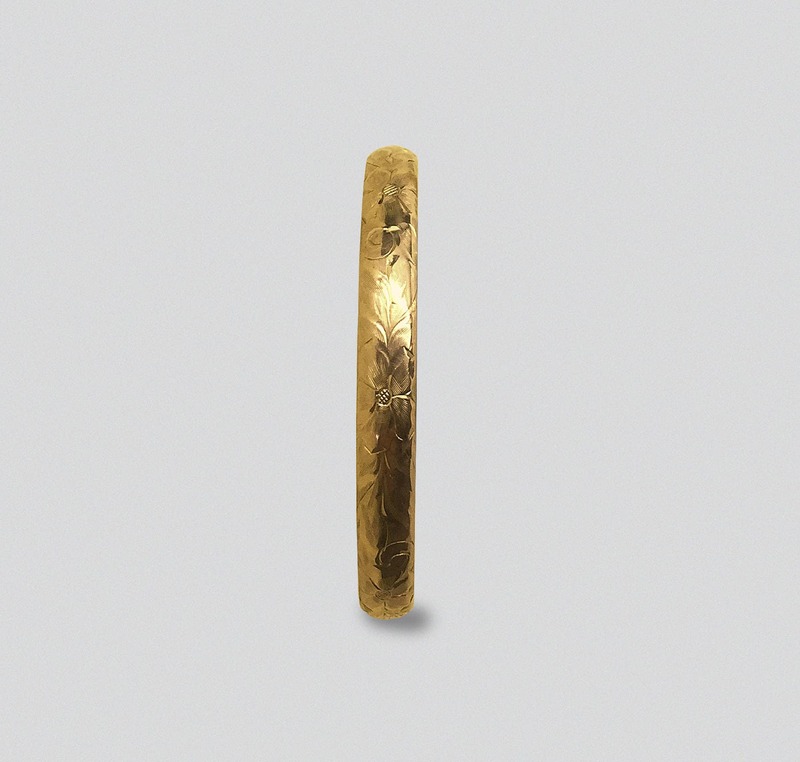 14K Yellow Gold antique bangle bracelet which is engraved in a floral pattern. 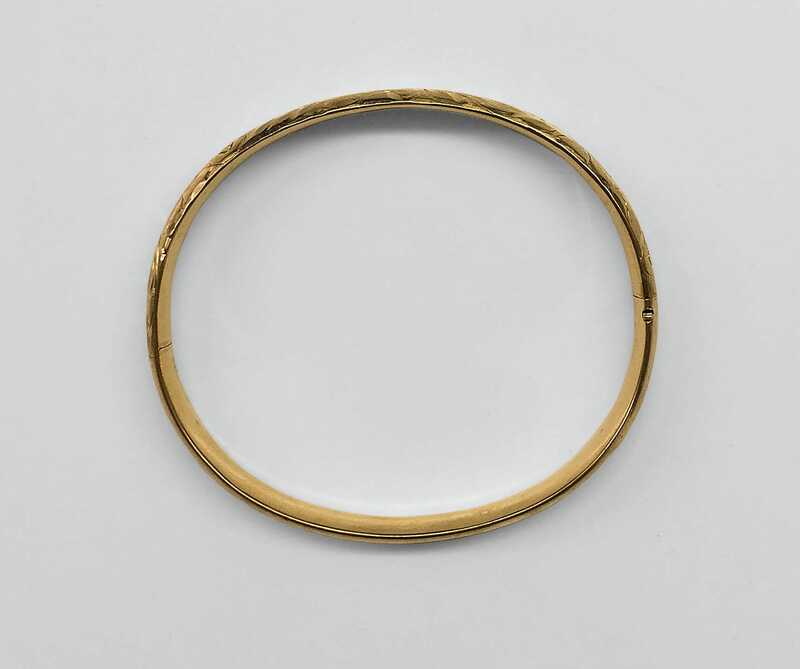 This lovely bracelet made around 1900 could be worn daily. It has a push-button closure at its side.